Axis launched its updated online tools pages, which offer a palette of opportunities to find the right components when designing surveillance systems. 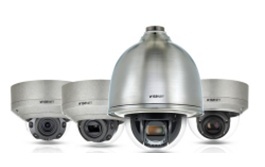 Hanwha Techwin has further expanded its Wisenet X camera series with the introduction of four news stainless-steel dome cameras for challenging industrial environments. 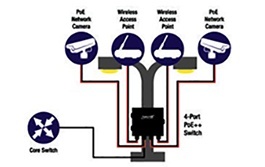 The new IEEE 802.3bt PoE standard is necessary for devices requiring higher levels of power such as PTZ security cameras, IP phones, wireless access points and more. Jason Reasor, CommScope’s director for building systems, talks about the new PoE lab and some of the new standards that are driving the need for testing solutions. The modern building should be efficient to drive productivity and success. 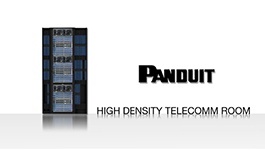 Panduit’s robust converged network infrastructure delivers the right performance to address this. We know trying to find part numbers isn’t always easy, but with Corning’s Bill of Material tool, which provides part numbers for each item, building BoMs becomes a breeze. 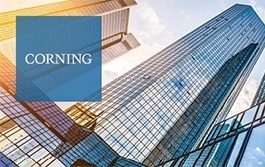 The expanded Strykow campus will be Corning’s largest manufacturing site for optical connectivity solutions in Europe, the Middle East, and Africa. Panduit Keystone Shielded solution protects your sensitive information from data interception and improves performance to support higher bandwidth applications. Are You Ready For the Upcoming Construction Products Regulations? Panduit’s new product brochure has been integrated with information about CPR, analyzing the new standard classifications, additional criteria and typical applications. Download it here! In Raritan’s eBook, you will see how to easily deploy intelligent PDUs, increasing efficiency through the reduction of human error and deployment time, resulting in cost savings for your facility. Raritan’s SmartLock is a networked electronic door access and control system designed to deliver audited, controlled access to physically sensitive IT assets in data center white spaces. 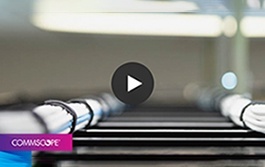 The internet is buzzing with online shoppers.Watch the CommScope video for a behind the scenes look what happens to the data center when an online booking or purchase is made. Brings Versiv™ efficiency to passive optical network, outside plant, datacenter and other high dynamic range applications. Act by December 21 for introductory pricing on the new OptiFiber PRO High Dynamic Range OTDR Modules. The Distribution of Unused Bandwidth (DUB) feature gives property owners and MSPs the opportunity to remove artificial bandwidth caps normally imposed on guests. Download the Nomadix whitepaper to read more. Proxim and Anixter are pleased to release the latest quarterly 2018 Product Guide, which explains key functionalities and provides kit lists as well as recommended accessories.